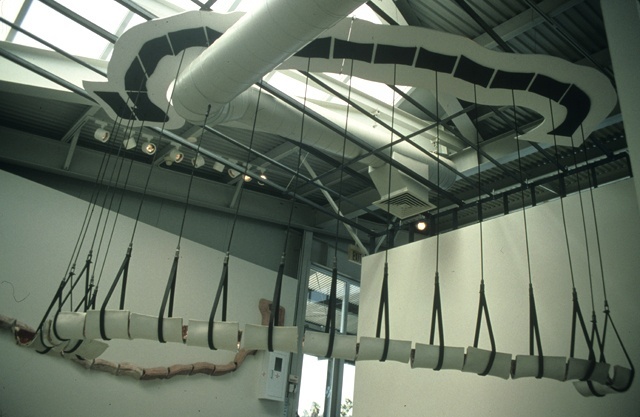 Installation shot of work completed at Sculpture Space residency installed in the Gatehouse Gallery at the di Rosa Preserve in Napa, California. Worked with a structural engineer and colleague Terry Berlier in fabricating and installing structural steel surrogate ceiling to support suspended elements. installation:steel, rubber, wood, pigment, plaster, rubber, resin, wax, hardware, etc.